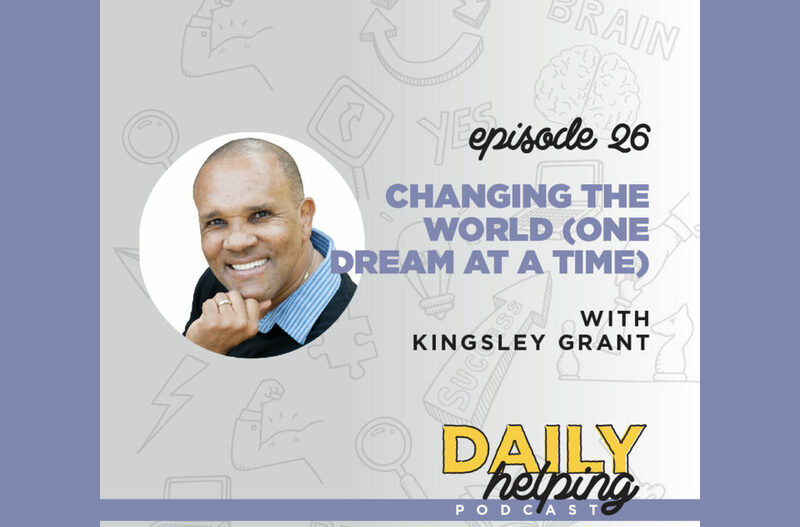 Today our expert guest is Kingsley Grant, a motivational speaker, corporate trainer, licensed marriage and family therapist, career transition coach, online radio podcaster, and sherpa. He is also the President of Helping Families Improve, Inc., a company driven to improve communication within relationships, and the author of The Midlife Launch. Kingsley is a self-described late bloomer, as he hints at in the title of his book. He came to the U.S. from Jamaica when he was young and, for many years, had little guidance – and he feels that the years he spent trying to fit in cost him dearly, financially and otherwise. Eventually, Kingsley learned from his mistakes and wanted to make a change, but he had a lot of ground to cover after all of those “wasted years.” One of the biggest shifts he experienced, and most valuable lessons he learned, was the lesson of forgiveness. He didn’t want to travel through life carrying his pain anymore. This experience led to writing the book 2 Steps To ForGIFTness: Learning How To Forgive When Your Mind Says Yes But Your Heart Says No. Helping Others Follow Their Dreams & Be S.M.O.O.T.H. Another challenge pushed Kingsley to make another major change. In 2008, shortly after quitting the job he had worked for 20 years, Kingsley had a heart attack and, ultimately, a quadruple bypass surgery. Kingsley has learned not to let these challenging experiences hold him back – and he uses these experiences to inspire and encourage others in their life’s journey.